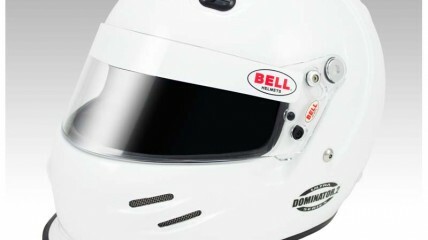 The Bell Dominator.2 has been completely redesigned to incorporate the latest technology and updates while retaining the aggressive and distinctive Dominator styling. 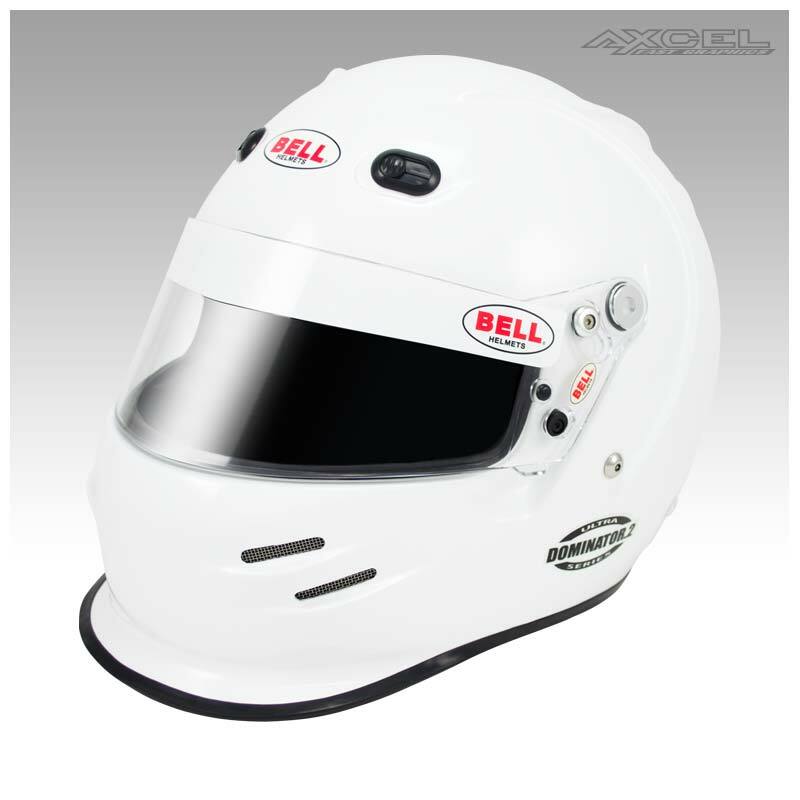 The helmet is designed for open wheel racers and kart racers who demand aerodynamic stability, outstanding comfort and fit plus superior ventilation. The Dominator.2 is certified SA2010/FIA8858 certified, available in sizes 7 1/8 to 7 3/4 in white and rubberized matte black. The helmet also has M6 terminal hardware incorporated into the helmet and accepts Head and Neck Restraint anchor system hardware.